Comfortably seating 27 passengers, these buses look great going down the road. The 27 individual seats are comfortable, reclining, and well cushioned. Overhead compartments are perfect for small bags & carry-on luggage. 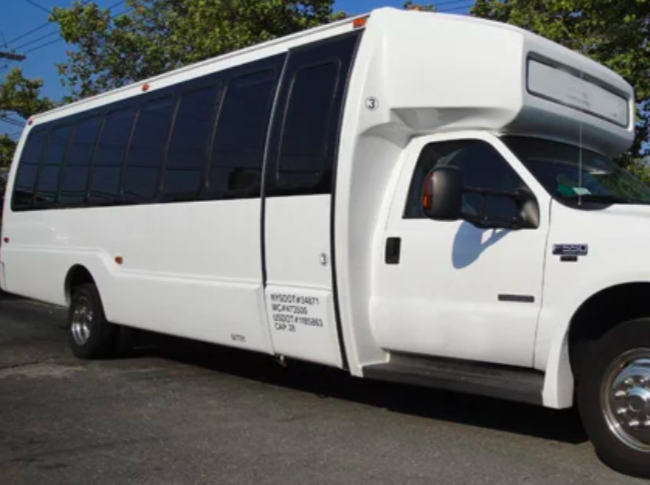 For groups with additional luggage, these buses also accommodate a moderate amount of bags in the rear luggage compartment. Entertainment includes stereo surround system, a 15″ television, and a DVD player.